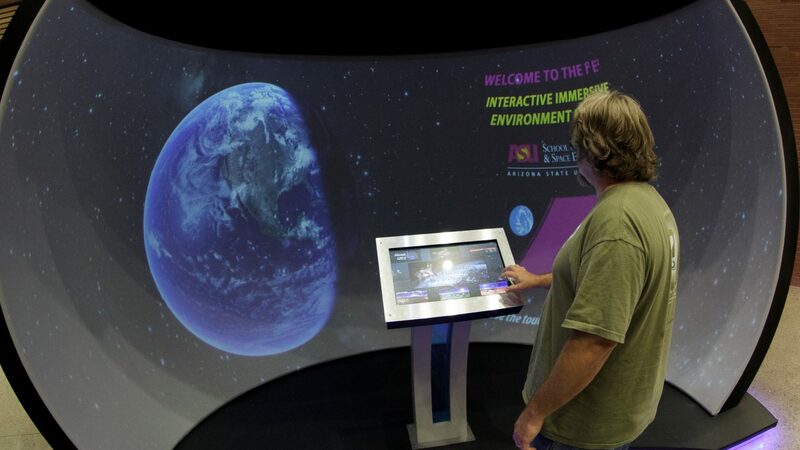 Spherical displays from The Elumenati are part of the School of Earth and Space Exploration‘s mission to study the Earth and the Universe beyond, with exhibits in Arizona State University’s Interdisciplinary Science and Technology Building IV. 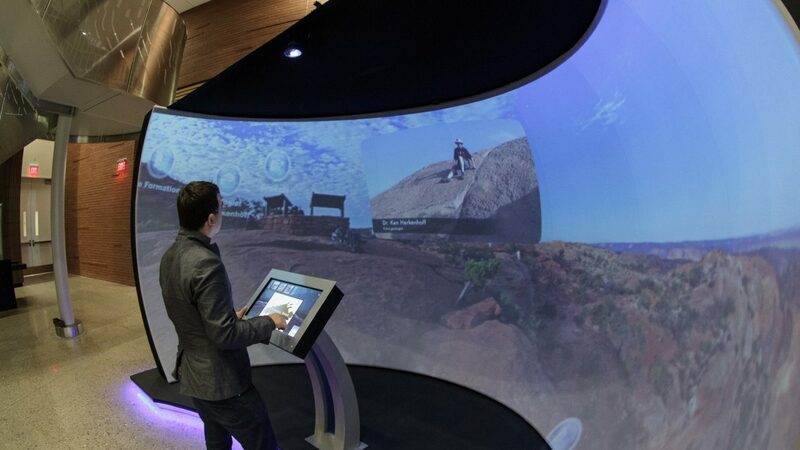 We worked with SESE on the Immersive Interactive Exploration Environment (I2E2), in a GeoDome Panorama. 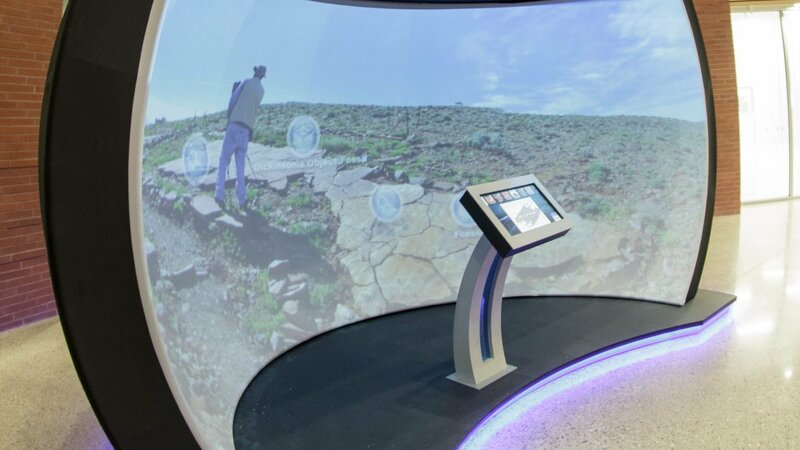 Visitors use a touchscreen to interactively explore Earth and space science on our 4m semi-permanent Panorama, powered by a 200 series OmniFocus projection system. In 2015, SESE took advantage of the 200 series’ easy upgrade path to swap in a new, brighter projector with their existing lens. 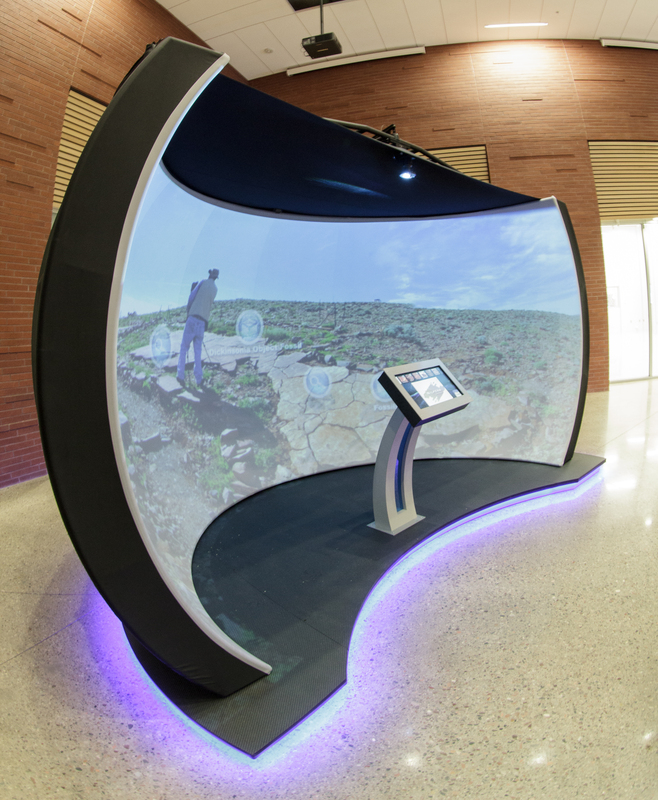 Staff at ASU’s School of Earth and Space Exploration (SESE) use WorldViewer and WorldComposer to tell immersive, interactive stories of the cross-disciplinary work taking place there. 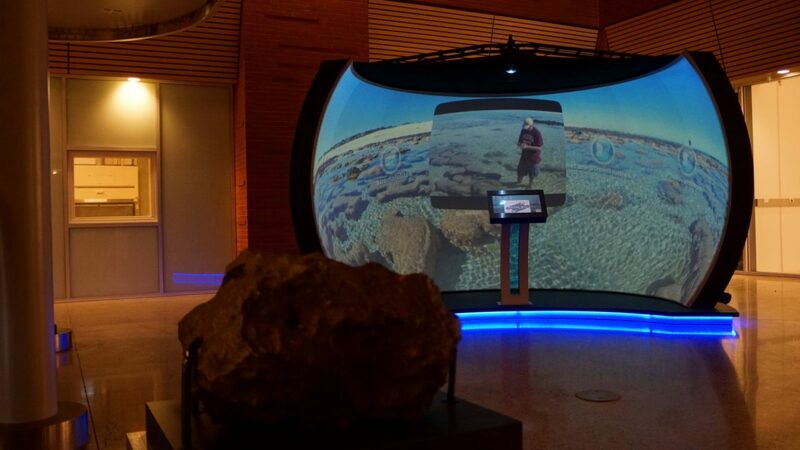 Current WorldViewer content includes ASU’s fully interactive Virtual Field Trips of geological features around the Earth, as well as panoramic images of the surface of Mars from the Curiosity Rover landing. 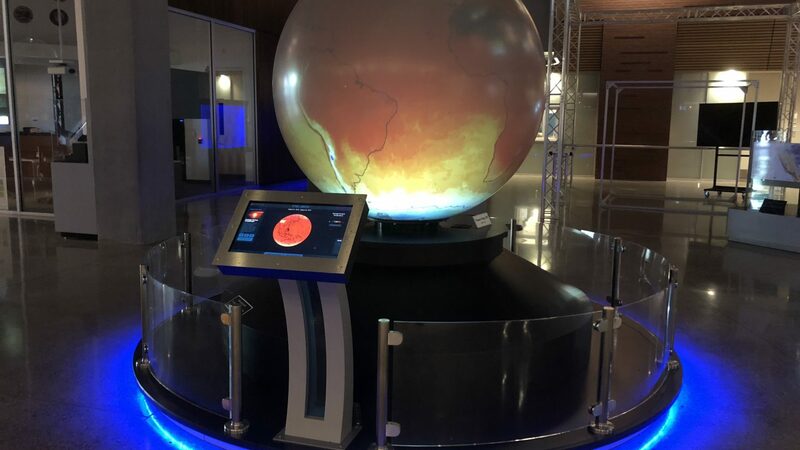 The I2E2 exhibit also features NASA JPL’s Eyes on the Solar System, a tool for interactive exploration of real-time NASA mission data, enabled for Elumenati immersive environments through our continuing relationship with NASA JPL. SESE also has a 6′ globe driven by OmniFocus, which they use for exploring global datasets. The system uses a dual-projector OmniFocus 500 series, and in 2015 upgraded their software. Using WorldViewer as the content render engine dramatically improves frame-rate, adds brightness uniformity control, and offers a user-friendly calibration and blending tool. SESE’s globe content is a mix of WorldViewer, Global Imagination’s Magic Planet software, and Eyes on the Earth from NASA JPL. Both exhibits leverage the power of immersion and interactivity to help the ISTB4 achieve its mission of engaging the public and inspiring them to consider science in their futures. We at The Elumenati are glad to help!